October | 2016 | Sonic Smash-Music! The singer known internationally as Diana Thompson (aka DD Rose) has released her latest EP record, “Trumuzic,” and a single, “Luv 4 U.” Both singles have been proudly published on the Mind Music Production independent record label without the direction of the corporate music industry. Grooving with the original reggae and roots sound and produced with public radio and global sensations in mind, “Trumuzic” and “Luv 4 U” are evidence that Diana Thompson is a true voice of the island tone today. Diana Thompson / DD Rose cites as main artistic influences Tarrus Riley, Marcia Griffiths, Tessanne Chin, Queen Ifrica, Frank Sinatra, Nat King Cole, Celine Dion, and Whitney Houston. 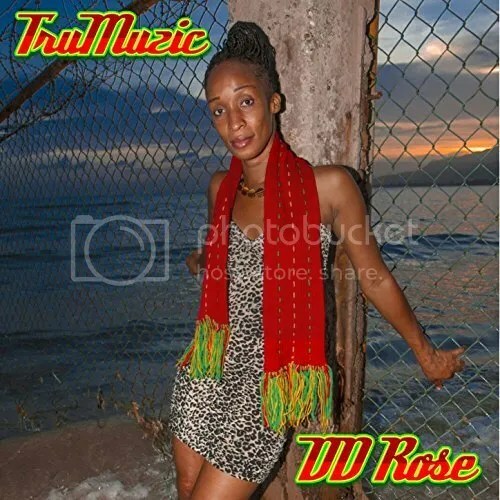 DD Rose’s own sound takes elements from the roots and reggae traditions and adds to this her own, updated style which will appeal to fans of pop music, reggae and dancehall alike. This sound is warm, welcoming, and elegant, making for uplifting, toe-tapping music anyone can lose themselves in. Jamaica’s Diana Thompson grew up in St. Thomas. By the age of 12 Thompson was already singing live at church, and was leading the choir by 15. Soon after, she was appointed director of both the youth and adult choir. While reserved in her private life, DD Rose’s natural stage presence is explosive and entrancing. She was encouraged to compete as a singer, and won several medals from silver to the national gold. Her frequent performances in the community made a name for her as a beloved artist. She has worked with such prominent musicians as John Holt, Ken Boothe, Leroy Sibbles, Sizzla, Queen Ifrica, George Nooks, Nesbeth, Kililah Rose, Uncle Johnny and Yvad, among others. She has performed at such popular Jamaican venues and events as the Ocean Palms Night Club in St Thomas, the Independent show in Long Bay, Portland, the Rebel Salute 2012, the Reggae Show at Emancipation Park 2012, Charity at Hectors River for Survivors/Victims of Fire, the Red Bones Club, the Allshmar Jerk Center, Portland Jerk Festival Show in 2013, Rebel Salute 2016, Hotel Round Hill, and a great many more. “Trumuzic” and “Luv 4 U” by Diana Thompson / DD Rose are available online worldwide now. The sitarist and producer of world music and kirtan known as Paul Best has released his latest LP record, “Sounds of Adventure.” Like the rest of his most recent repertoire, the album has been proudly published on the Yatte Yattah Beat independent music label without the direction of the corporate music industry. Kaleidoscopic, highly imaginative, and elegantly blending sounds from east and west with invention and aplomb, “Sounds of Adventure” is both aptly named and perfect for the modern era. Australia’s Paul Best has cited as main artistic influences Cream, Bob Dylan, Carlos Santana, John Lennon, the Cure, the Yardbirds, Led Zeppelin, Radiohead, Tina Turner and the kirtan genre. His own “Sounds of Adventure” is no less diverse a record than this varied roster, being a cross between electronica and traditional sitar music – a tone nearly impossible to imagine but one which is surprisingly intuitive and pleasant from start to finish. Fans of kirtan and of electronica both will be well pleased with Best’s new LP. Paul Best is an autodidact of the rarest caliber. Having purchased his first sitar four decades ago on the banks of the Ganges, Hinduism’s most sacred river, Best taught himself to play and immediately began fashioning his own tone, style, and manner of songwriting. His first album, “Still Waiting,” appeared in 1997. Since then he has amassed eight solo albums and been featured in numerous collaborations. “Sounds of Adventure” contains nine original tracks for an approximate total listening time of a full hour. While based on Best’s inimitable sitar playing, it also features the artist playing sitar with a bow, on keyboards, and even a vocal track about the harms and dangers of the gas fracking industry. 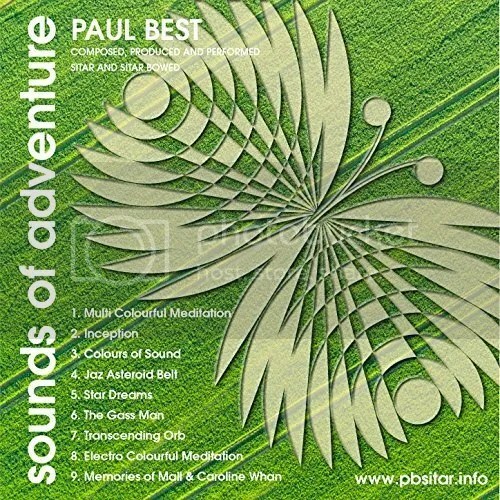 “Sounds of Adventure” by Paul Best is available online worldwide at over 700 excellent digital music stores now. Fans of world music, music for yoga, electronica and fusion in general should get in early. The pop singer and fashionista known as Barking Fire has released her latest flagship single, “High Heels On.” The track has been proudly published as an independent single without the direction of the corporate music industry. Booming with bass, decked with sonic details, and graced with the clarion vocals of Barking Fire, herself, “High Heels On” is one of the most creative and cutting-edge dance tracks to appear in 2016 so far. “High Heels On” is a thumping, pulsing, deep house track well-suited to the 21st century, thrumming with the verve and energy of the youth of today. Its beat is a perfect match to nearly any DJ play list at popular venues stretching from Los Angeles, Calif. to Ibiza, Spain, from Milan, Italy to Istanbul, Turkey, and beyond. “High Heels On” by Barking Fire is already turning heads around the music-listening world, and especially in locales where lovers of dance rule the night. An excellent sign of the momentum of Barking Fire’s “High Heels On” is the concurrent release of a sister single by DJ Birkan Basar, “High Heels On (DJ Birkan Basar Remix).” While the original track is most-often billed as a pop single, Basar’s version can be found under the categories of techno and electronica, and listed on Beatport at 128 beats per minute. Barking Fire is also notable for her outrageous, highly inventive and superlatively creative stage presence, marked by postmodern fashion designs which would be reminiscent of Lady Gaga’s kaleidoscopic wardrobe if Barking Fire’s own accoutrements were not unique in their own distinct way. These outfits may be viewed on the covers of “High Heels On” and “High Heels On (DJ Birkan Basar Remix)” as well as in photos taken of Barking Fire at the Grammy Music Awards Nominee Party at the world-famous Whisky a Go-Go on Hollywood’s Sunset Strip. “High Heels On” by Barking Fire was written by Sjoerd de Vries and Patricia Adams, produced by Sjoerd de Vries, engineered by Steven Felix, and mastered by Rob Burrell. It was recorded at Paramount Recording Studios in Hollywood, Calif.
“High Heels On” by Barking Fire and “High Heels On (DJ Birkan Basar Remix)” are available online at over 700 quality digital music outlets worldwide now. The rocker known as Elizabeth Cuite has released her new EP record album, “With You.” The record has been proudly published as an independent release without the direction of the corporate music industry. Free, fun, powerful and full of pop magic, “With You” is evidence that Elizabeth Cuite and her band of young artists are musicians to watch in 2016 and beyond. “With You” is a rock record in the truest vein. It is direct, jamming, and danceable sing-along music which will appeal to fans of musicians such as Sheryl Crow, Fleetwood Mac, Taylor Swift, Carrie Underwood, Regina Spektor, and Whitney Duncan. It’s friendly, warm rock music that stretches its arms to the listener and invites music fans to come in and hang out a while. But that doesn’t mean it doesn’t have an edge. The record’s opening track, “I Like the Sound of That” has a grungy production and a one-two groove which hits the ground running and carries the audience away. Joining New York’s Cuite on the “With You” EP are 16-year-old Ben Patsalos (drums) and 15-year-old Aidan Cuite (violin/piano/sax/bass), her brother. Ben began drumming at seven on congas and bongos. Having been playing since 11, he is entirely self-taught. He loves rap music but most enjoys playing percussion to funk and hip hop. Aidan began in music on violin. A player of classical and contemporary music, he is an award-winning violinist. He cites as inspirations players and songwriters from nearly every era and genre. 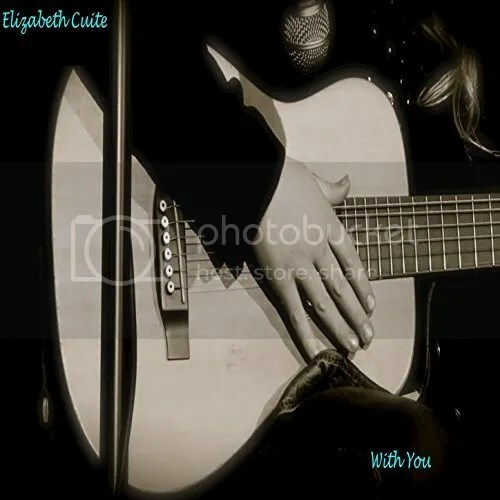 “With You” by Elizabeth Cuite and company is available at over 700 quality music stores online worldwide now. The singer and songwriter known as Zuri has released her latest contemporary music single, “Joy (Send Them Prayers).” The sonic message of goodwill has been proudly published on the Ayaba Records independent music label without the direction of the corporate music industry. Heartfelt, sonorous, and beautiful in both tone and intent, “Joy” showcases Zuri as a born entertainer and true humanitarian. Chicago’s Zuri has cited as main artistic influences a broad array of legends, including Sarah Vaughn, Stevie Wonder, Chaka Khan, Rachelle Ferrell, R. Kelly, and Celine Dion. Her own music shows a songwriting intuition similar to Stevie Wonder’s, a clarion singing voice like Celine Dion’s, and a natural studio production style akin to that of Sarah Vaughn’s. Zuri is a genuine artist in her own right, having been singing and practicing music since the age of three. All her music is written by Zuri, herself. The themes of her songs are clearly very important to her, and “Joy (Send Them Prayers)” is a strong example of this. An official music video for “Joy” is also expected to appear online in coming weeks. A well-rounded artist, Zuri has worked in music, television, commercials, and stage plays. She is also a writer, having penned poetry, spoken word, a novel, a screenplay and a series of short children’s stories. In her spare time, she paints, she sculpts, she’s a natural hair stylist, a meditation instructor, and a fashion designer with her own line of motivational tanks and tees. Zuri has worked for and with various artists including Michael Bolton, Chaka Khan, Brenton Wood, Vesta, Shirley Caesar (Lou Rawls Telethon), Brenda Holloway, Ramsey Lewis, DJ Rogers, Etta James, Solomon Burke, Mable John and Jennifer Holiday, as well as others. She has also worked alongside musicians from Jamaica, Africa, and Haiti. She has written songs for veterans of soul such as Johnnie Taylor, Shirley Brown, Lattimore, and King Floyd. Zuri sang all background harmonies on the classic soul record, “Soul Heaven,” by Johnnie Taylor, and wrote “Too close for comfort” for his Grammy-nominated album, “Gotta get the groove back.” She shared a No. 1 duet on southern-soul charts with Taylor’s son, Floyd Taylor, “Baby I’ve Changed.” She has opened for Bon Jovi, Jermaine Jackson, Howard Hewett, and Kevin Nash, among others. “Joy (Send Them Prayers)” by Zuri is available online worldwide at over 700 quality digital stores now. The singer and producer of R&B known as Sun of Jor’EL has released two new single tracks under a united title, “The Beginning.” These singles, “Beautiful” and “My Diary,” have been proudly published on the Music Central Recordings independent record label without the support or direction of the corporate music industry. 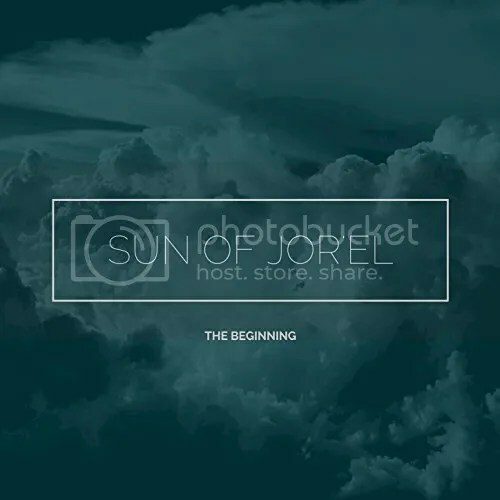 Modern, smooth, classy and bluesy, “The Beginning” stands as reason for fans of R&B to take note of this East Coast producer. Suffolk, Virginia’s Sun of Jor’EL cites as main artistic influences R. Kelly, Dr. Dre, Teddy Riley, and D’Angelo. These inspirations add tone and style to Jor’EL’s personal method and manner of music, particularly in his use of rhythm and bass, as well as in his vocal production. While “Beautiful” and “My Diary” have been released under the title, “The Beginning,” they are not debut tracks from the artist. Previously dropped official tracks from Sun of Jor’EL include “Apologies,” “Teach Me Love,” and “Mars.” All three tracks remain available from the Music Central Recordings website (link provided below). Sun of Jor’EL has been described as “an independent artist and producer who explores all genres, and who has a universal delivery of music.” He is currently in the studio working on completing a full-length album. “The Beginning” by Sun of Jor’EL is available at over 700 quality digital music stores online worldwide now. Be sure also to check out the rest of his repertoire at the official MCR website. 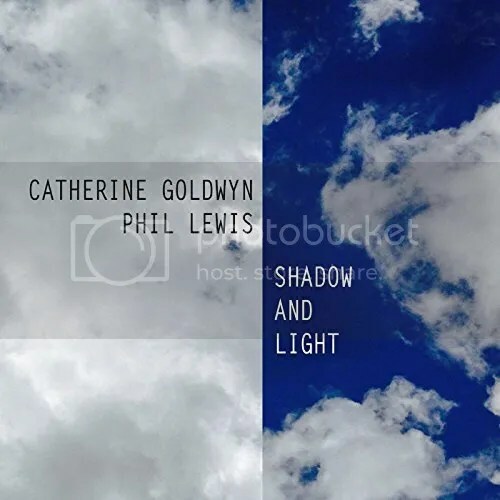 The jazz duo of Catherine Goldwyn and Phil Lewis have released their latest LP record, “Shadow and Light.” The album contains 11 tracks for an approximate total listening time of one hour. It has been proudly published on the Continuum independent music label without direction from the corporate music industry. Sharp, classy, and showcasing the sonic imagination of two of the most veteran players in contemporary jazz, “Shadow and Light” stands as one of the best examples of piano and guitar pairings in recent memory. Catherine Goldwyn and Phil Lewis have been playing together since 2002 when they met at a Los Angeles jam session. They cite as main artistic influences legends like Louis Armstrong, and the genres of world music and classical music. The Armstrong shows in their use of phrasing, the classical in their use of melodic narration. Goldwyn and Lewis both have decades of experience in jazz, but “Shadow and Light” is their debut LP together. After 11 years of music together, they married in 2013. They want their first album to be more than business-as-usual jazz for jazz aficionados. In addition to the considerable talents of Goldwyn and Lewis on “Shadow and Light” are drummer Jake Reed, bassist John Belzaguy, and percussionist Pete Korpela. “Shadow and Light” by Catherine Goldwyn and Phil Lewis is available at over 700 online music outlets worldwide now.